What's New: "Top Creative Website of 2017"
Cynthia Molnar in music video "Tracks of My Tears"
"Dancing ballet transports you to another world. . . the music and movement of ballet is transcending," says Cynthia Molnar, SMC Community Ed's Adult Ballet instructor, in summing up her passion for ballet. And that passion manifests itself not only when she dances or choreographs, but also when she teaches. Molnar has had a long and successful career as a dancer, choreographer, director, coach and teacher. Among many other highlights, she performed with the San Francisco Ballet and Pacific Northwest Ballet, with solo roles in such ballets as George Balanchine's "Concerto Barocco" and "The Four Temperaments." Molnar was born in Virginia, where she began to study ballet at age six. Upon moving to Los Angeles her training continued with David Lichine and Tatiana Riabouchinska, as well as with Stanley Holden at the Los Angeles Music Center. She received her advanced training on a full scholarship to both the San Francisco Ballet School in San Francisco and the Stuttgart Ballet Co. in Stuttgart, Germany. She continued her ballet career as a professional with David Lichine's "Ballet Society of Los Angeles," starring in his acclaimed ballet "Graduation Ball." 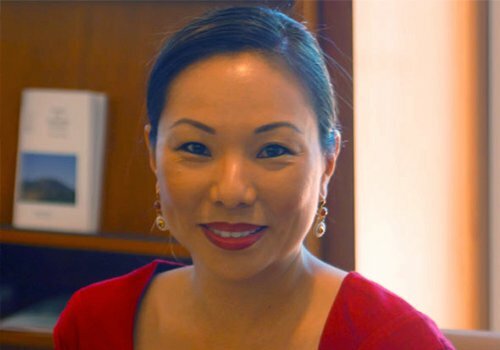 She has taught all levels of ballet in the academic program at SMC for nine years and at Community Ed for three years, as well as at many private academies throughout the Los Angeles area. 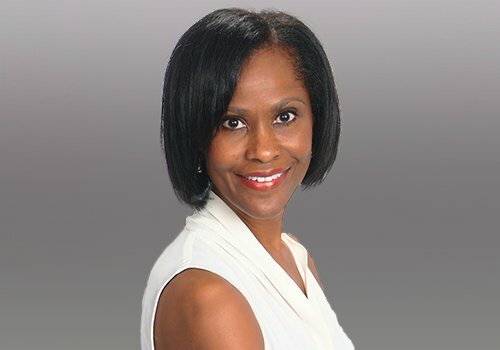 Her original works have been performed by SMC's "Global Motion Company, "Kybele Dance Theater," Sarah Burges's "Lions Pounce Dance Theater," "Katnap Dance Presents" and in "BIR" and in community outreach programs for the city of Los Angeles. She directed and choreographed and danced in the music video Solomon King's cover of "Tracks of My Tears." What kinds of students do you get in your Community Ed Adult Ballet classes? They range from young professionals in their 20s to people in their 50s. Some have no ballet training, others are coming back to it. We have actors and singers who want to improve their movement on stage. My students are excited about this class because it's difficult to find Adult Ballet. How do your Adult Ballet classes at Community Ed compare to the academic ballet classes you teach? We have a wonderful sense of community in the Adult Ballet, with a fun, relaxed and social atmosphere as opposed to the academic aspect of the college. Last summer seeing dolphins so close to shore. I went out to swim with them alone! I'll never forget the experience! Wow, many things! Teach a ballet class, go for a swim and then walk on the beach hearing the sound of the waves. Having dinner with loved ones/friends. These are all game changers. My ability to make people at ease. "All the Light We Cannot See" by Antony Doerr. Cynthia Molnar will teach Adult Ballet I beginning Jan. 8. "Top Creative Website of 2017"
SMC Community Ed's webpage was named a "Top Creative Website for 2017"
I'm excited to announce that Augusoft, Inc., has recognized the SMC Community Ed's website as one of the company's top creative websites for 2017. Augusoft told us that our site "was selected for its excellent use of graphics, design layout and navigation." In addition, the company praised our site for accentuating electronic gift cards and "by utilizing a combination of vibrant images and an optimized, clean webpage layout." 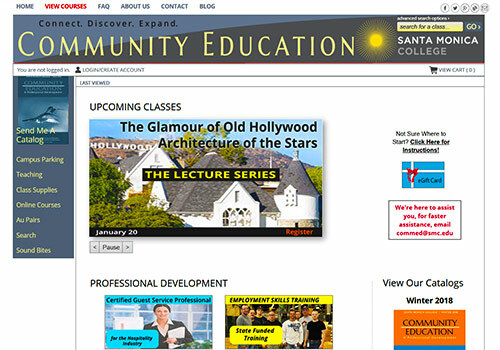 SMC Community Ed was also commended for its "slide show of available courses that allows users to register instantly." 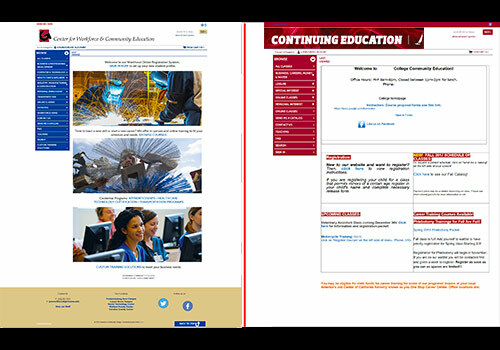 Lastly, Augusoft was impressed by the use of Menu navigation links, "SMC Community Ed used this section to showcase unique programs they offer, such as links for Au Pairs & Instructor Biographies." It's indeed satisfying to be recognized for the hard work we have put into our website in the past five years to make it a hub of information for all of Community Ed. When I started in my position in 2012, the website was very basic and was used mainly as a registration tool. Now, the website continues to serve our students wanting to register but is also our major marketing tool and has been effective in bringing our classes higher up on Google Search results. Aside from the points made by Augusoft, our site also now features E-catalogs and PDF versions of catalogs, and we have archived Sound Bites, our popular monthly newsletter that was launched in fall 2013 as a reference source for potential students to get to know our instructors and courses. Finally, we are working hard to adjust our website to ensure that it meets recent federal standards for accessibility for disabled users. Like many Community Education and Extension programs throughout the nation, we have used Augusoft's Lumens software products for our website. We've put a lot of thought into the use of Lumens to customize our site and make it stand out. In short, we have tried hard to put into practice what Augusoft imagined Lumens could do. The recognition we received from Augusoft is particularly rewarding given how large a company it is and how many clients use its Lumens products. Augusoft is a privately held company based in Minneapolis that provides cloud-based enrollment management solutions for continuing and corporate education programs throughout the U.S. and Canada. Today, Augusoft serves hundreds of schools throughout the U.S. and Canada. 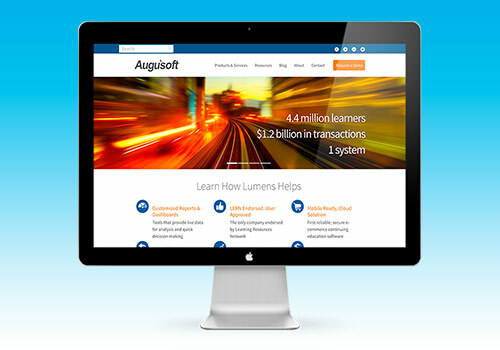 Over 6.2 million students have registered for lifelong learning classes and over $1.8 billion in transactions have been processed using Augusoft Lumens. A big thanks to our Web Designer/Developer, who has been a comrade-in-arms since the beginning and helped us transform a website into a "top creative website!" Don't forget to visit our website for Winter classes, registration now open. Christy Wilhelmi is our Organic Gardening instructor who also has a terrific website called Gardenerd. On that website she has a well-written and informative blog. The following is an entry on the blog from earlier this month. 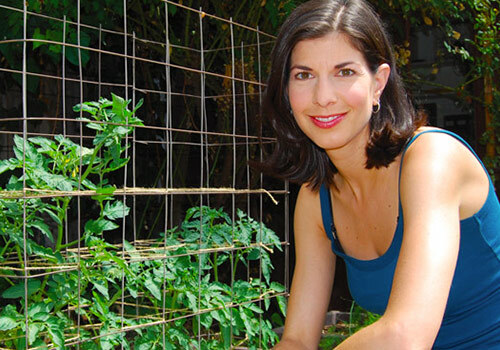 Christy will teach a two-hour workshop on Feb. 2 called Vegetable Garden Design for Landscape Designers. File this post under philosophical ruminations. As the holidays careen toward us, we might feel a twinge of anxiety to hurry up and plant the garden, or to harvest, or to shut it down for the season, depending on where you live. The urge to rush through the process before holiday craziness arrives is strong. We planted our fall crops in stages as the weather cooled down (really it was more like a raid on the garden. As soon as temps dropped below 70º we screamed, "NOW, GO, GO!" and descended upon our raised beds with seed trays in tow). Now, after all that excitement, the prospect of waiting 21 days for carrots to sprout feels like an eternity. Won't it be Christmas by then! Well, at least Thanksgiving. Gardening is entirely about patience. Waiting for seeds to germinate, for sprouts to generate true leaves, for the right weather to transplant out, for crops to mature. Along the way we steward these plants. We fend off pests and vermin. 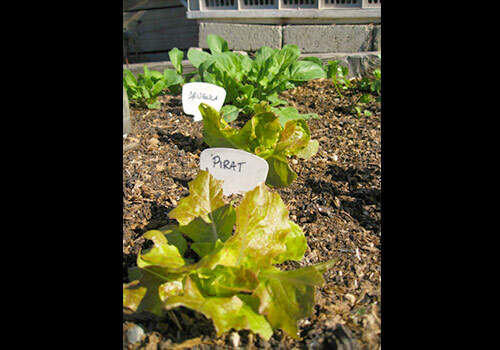 We wait for those first succulent lettuce leaves and early radishes. 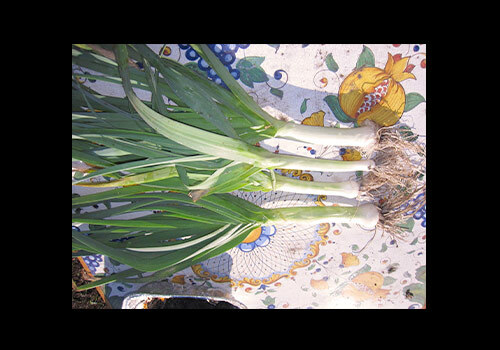 Last November we planted leeks and green onions. For some reason we can't explain, they sat there all winter, doing nothing. Such a different experience from every other year! In spring they slowly grew, just in time to avoid the swift hand of termination, and now one year later we have something to show for it. We also let the rats get out of hand this summer. When they finally discovered our tree kale, started eating the leaves to nubbins every night, something in me snapped. For the past week Team Gardenerd has set out 14 traps baited with fresh almond butter every night. We've successfully caught 4 rats so far. Diligence + patience = safe plants. Sometimes these are the only weapons we have. But we're still waiting. We're waiting to harvest the first kale leaves, to thin the lettuce seedlings, to eat the oranges ripening on the tree (we tasted a few so far - so tart, but so good!). The only thing to do now is to be in the moment. Before Turkey Day, before garlands, before dreidels and Black Friday sales, let's enjoy the process; this quiet time before chaos, when the garden makes us wait for what nature soon will bring. Every day as I peak under floating row cover to check on broccoli, cabbages, and kohlrabi, I eagerly anticipate what is to come. This patience thing, it's the stuff of life. With Thanksgiving just a few days away, it's a good time to reflect on Community Education's year thus far - and pause to give thanks. Our dedicated students who look to our program semester after semester for their lifelong learning needs. Our wonderful instructors who have stayed with us through thick and thin, and weathered this year's tremendous challenges. Our incredible Program Coordinator. Alice Meyering, whose perseverance in the face of adversities ensured our program continues for our beloved community. Our new programs, such as 3D printing, continue to succeed and to be valued by our students. The continued support of the Dean of Workforce and Economic Development Patricia G. Ramos, Ed.D. Our community partners, AUMT, Ed2Go and SimpliLearn, whose partnership has allowed us to expand career-training opportunities. Our Web Designer, PJ Abode, who has taken a personal interest in renewed efforts to promote Ed2go, our online class offerings. His dedication to this goal has paid off handsomely in record registration numbers. Our bright and energetic student workers who help us operate effectively. Our Vice President of Academic Affairs Georgia Lorenz, who listens to our requests and makes efforts to strengthen and support the program. The SMC Board of Trustees, whose members consistently express their appreciation of Community Ed and who actively promote "Lifelong Learning" throughout the community.